In the range of applied problems for various industries, for example, architecture, fine arts, animation (movies), meshes of complex configuration may be of great demand. 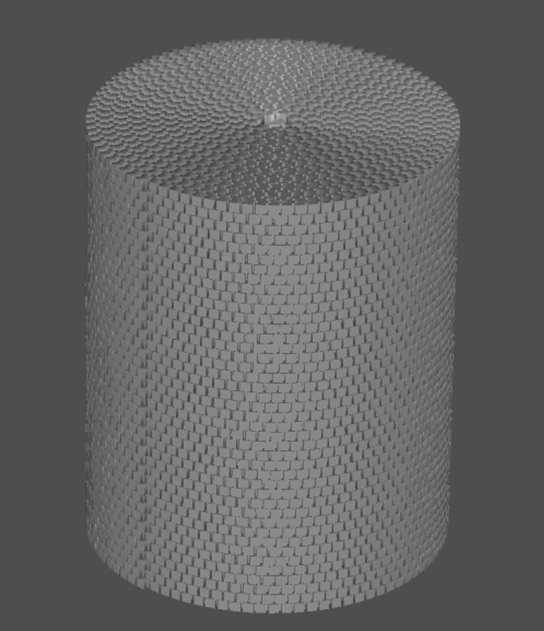 Let us show, how it is possible to describe a configurationally complex computational mesh, consisted of voxels (bubble shaped), which are located on a sheet and twisted into cylinder. 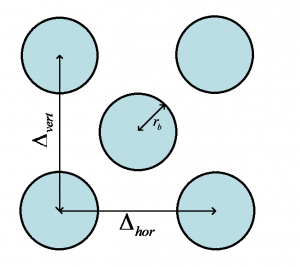 Let us describe a mathematical model used at the design of algorithms of cylinder shaped voxel meshes. There is a sheet with voxels (bubbles of cylinder shape) located on its surface. Then, it is assumed that voxels are situated on the sheet according to the template, demonstrated in the picture 1.